Samsung’s next Unpacked event is set for February 21st, and while the Korean electronics giant hasn’t outright said that’s when it will announce the new Galaxy S10, past history and a lot of not-so-subtle clues all but guarantee we’ll officially see the company’s shiny new flagship smartphone next week. To spice things up even more, since 2018 was a somewhat lacklustre year for Samsung, rumours suggest that we could see a lot more than a couple new phones on February 21st, which makes this Unpacked more important than ever. So here’s a roundup on everything we know about the Galaxy S10 so far, and everything else we’re expecting to see at Samsung Unpacked 2019. 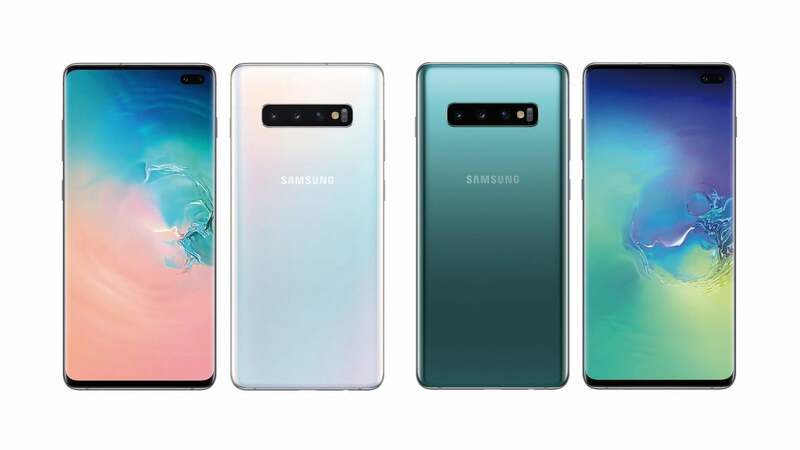 One of the biggest changes for 2019 is that based on early reports, Samsung is expanding the Galaxy S10 line to three different models: the Galaxy S10E, the standard Galaxy S10, and the up-sized Galaxy S10+. The new entry is the Galaxy S10E, where the “E” reportedly stands for Essential, with Samsung positioning the S10E as a sort of more affordable Galaxy S10 Lite that eschews fancy extras like rounded glass sides, an in-screen fingerprint reader, and triple rear cameras in favour of something simpler and cheaper. Meanwhile, the S10 and S10+ will fill their normal roles as the medium and large options in Samsung’s portfolio. And while it hasn’t been confirmed, there’s also talk of limited edition S10+ with a mountain of storage, and a fourth Galaxy S10 variant in the Galaxy S10X, which will offer top-of-the-line specs and a 5G-ready modem. For years, the look and feel of Samsung’s flagship phones have been centered around curvy glass panels in front and back held together by a thin strip of aluminium, and on the S10, that doesn’t seem to be changing. However, with the year of the notch now firmly behind us, Samsung had come up with something new to make sure people can still take selfies. So for 2019, after testing out the concept on the mid-range Galaxy A8S, Samsung looks to be bringing its hole-punch camera to the Galaxy S10 as well. The main difference between a notch and a hole-punch camera is that the latter features a camera completely surrounded by display on all sides. That gives phone makers a little more freedom to cut down on bezels and decide where the front-facing camera should go, and based on numerous leaked pics of the Galaxy S10, it seems Samsung decided the best place for its hole-punch cam is in the top right corner of the screen. One interesting feature of the hole-punch camera is that according to leaker Ice Universe, you can activate the selfie cam simply by putting your finger over the camera and dragging downwards. It’s a neat trick, though if you’re the kind of person that worries about smudging your camera lens, you may want to skip doing that before snapping a pic. The other main design upgrades on the Galaxy S10 are the addition of a triple rear camera setup consisting of standard, wide-angle, and telephoto lenses, and the elimination of a rear-mounted fingerprint sensor. Instead, the Galaxy S10 will feature an in-screen fingerprint reader like we’ve seen on the OnePlus 6T and others. It will allow you to unlock your device simply by touching a designated area on the display. As for the Galaxy 10E, since it won’t have an in-screen fingerprint reader in order to keep its price low, it will offer a side-mounted fingerprint reader instead. Depending on how much you’re willing to spend, you should be able to buy a Galaxy S10 with as much as 12GB of RAM and 1TB of storage. But that’s overkill for pretty much everyone. On more down-to-earth configs, the Galaxy S10 will offer a moderate spec bump over the S9 thanks to its new Qualcomm Snapdragon 855 processor (or Exynos 9820 processor depending on your region), between 4GB and 8GB of RAM, and 64GB of storage (with room for microSD too). What’s slightly more exciting are some of the smaller features included on the Galaxy S10 such as reverse wireless charging, and the retention of the handy headphone jack. However, these upgrades don’t come without trade-offs as it seems that Samsung will reportedly forgo the front-mounted iris sensor found on Galaxy S phones going back to the Galaxy S8. But what might be the most impressive thing about the new Galaxy S10 is that despite Ice Universe claiming the phone will measure less than 8mm thick, the S10+ will feature a 4,100 mAh battery, which is 15 per cent larger than the 3,500 mAh battery in the S9+. Here’s hoping all the other versions of the Galaxy S10 include a battery increase just as substantial. Infinity Flex Display: What about Samsung’s bendy phone? Unfortunately, there hasn’t been a lot of new info about the Galaxy F since its initial tease. So aside from Samsung already confirming that the device has a flexible display that unfolds to 7.3-inches in addition to a secondary “cover screen” on the exterior of the device, there’s not much else to say about the Galaxy F right now. As for non-phone devices, Samsung’s Unpacked event could treat us to new Samsung wireless earbuds that for the first time will be slapped with the Galaxy brand name, along with a new Galaxy Sport, which is reportedly a sleeker take on Samsung’s current flagship smartwatch. The former comes at a critical time, as Apple has already swept the market with its own wireless earbuds, so Samsung is looking to improve on the current Gear IconX buds by adding Bluetooth 5 connectivity, 8GB of on-board storage, and a case with built-in wireless charging. Meanwhile, the rumoured Galaxy Sport should help flesh out Samsung’s wearable line with a slightly more affordable watch running Tizen OS. However, the main rumours we’ve seen about the Galaxy Sport include renders showing a device without Samsung’s trademark rotating bezels, which not only seems like a bad move, but also calls the veracity of the leaks into question. Based on a leaked poster spotted in Indonesia, pre-orders for the new Galaxy S10 are expected to start the day after the Unpacked event on February 21st, with orders expected to ship out sometime in mid-March. According to info allegedly from the Netherlands, prices for the S10E, S10 and S10+ will start at 750 euros, 900 euros, and 1,000 euros respectively. That said, when you translate those figures into U.S. dollars, prices feel a little steep, with the S10E going for around $US850 ($1,201). And that just gets higher in Australian dollars when you take GST into account. Thankfully, Gizmodo UK reported more reasonable pricing for the Galaxy S10 line with the S10E starting at 670 euros, and if we take that into account and do a little adjusting based on previous Galaxy launch prices in the U.S., I’d expect starting prices closer to $US750, $US850, and $US950 or $US1,000 for the main Galaxy S10 trio. As for the Galaxy S10X and the Galaxy F, rumours peg both of the devices in the $US1,500 ($2,120) to $US1,700 ($2,403) range due to the extra costs incurred due to S10X’s pricey 5G-ready modem, and the Galaxy F’s bendable screen. In short, neither of these two devices will be realistic options for a typical buyer. But with so much info based primarily on rumours and leaks, there’s always room for some day-of surprises. So check back to Gizmodo on February 21st at 06:00 AEDT where we’ll be live at Samsung Unpacked 2019 covering all the new Galaxy devices. OK, so if you thought the new Fast and Furious spinoff was just gonna sidestep around the fact it turned its villain (played by Idris Elba) into a genetically enhanced superhuman—because that’s just what this franchise can do now, alongside literally anything else it wants — well, here you go: say hello to Black Superman.